Address: Dukstigala līcis, Čornaja, Čornajas pagasts. 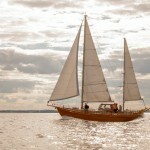 If you are planning a wedding in Latgale the boat „Sea Esta” is ready to take you and your wedding guests. 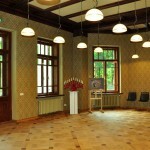 It is possible to celebrate different events here with the number of people 12, or to stay overnight in 6 rooms. This is a unique opportunity to make your day, party or wedding special and unforgettable adventure! 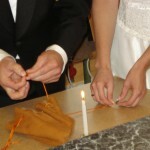 Short description: There is a programme for a diversity of the wedding day’s celebration. Leather goods shop makes belts, wallets, original handbags, etc..
Short description: You are welcome to celebrate your special day in “Pērtnieki”! Short description: The bathhouse and the houses are made of green materials. 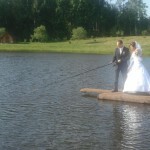 One can have rest either with the family members or friends or organise different sports events. 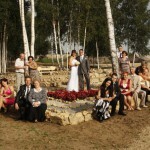 The newlyweds together with wedding guests can have unforgettable celebration in „Kalēji”. A nice clean environment.